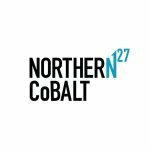 Having listed on the ASX in September, Northern Cobalt (ASX:N27) isn’t mucking around at its 100%-owned Stanton Cobalt deposit, which is part of the Wollogorang Cobalt Project in the Northern Territory’s north-east corner. N27 began a drilling frenzy that is continuing to this day. Following the completion of 57 holes at Stanton, 13 more than had been planned initially, the company then launched into its diamond drill program. Thus far, N27 has completed two diamond drill holes with a further four diamond holes planned to be completed in the next two weeks. With drilling comes news flow and N27 has plenty to come. Samples from the diamond drill core will be sent for metallurgical test work in December. Meanwhile, analysis will also begin on the last batch of geochemical samples from the resource drilling by the end of this week. However, the results from Stanton aren’t the only results to come. N27 has also been hard at work at its Running Creek prospect where it completed drilling 34 holes targeting extensions to known cobalt and copper mineralisation that had been identified in historical drilling. N27 has already started a catalyst-friendly news flow trend and with a whole lot of news due before Christmas, the company will be looking to further increase its current $21.8 million market cap.